Japanese history goes far back into times of war, peace, and advancement. They were always perceived as an advanced society, even in the early centuries, characterized by early use of metal, exquisite pottery, and various other art designs. This became the most eminent in the early 1100s with the influence of Buddhism and other cultures. Here is where we get the stereotypical Japanese art style, clothing, and buildings. 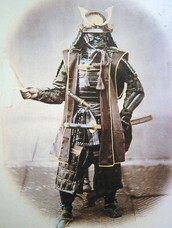 Moving into the 1300s, the militant side of Japan begins to emerge with samurai warriors becoming high rulers of Japan. Thus began the long period of civil wars. The Ashikaga Period became the spark of these wars as the government becomes military-oriented and dynastic. These wars were destructive, lengthy, and caused division within the country. Finally, the decades of civil wars ended in around 1603 when the Tokugawa shogunate caused for a peaceful period of stability and solitude. During this time, Japan was segregated from the world. Their ports weren't open until 1854 when the Treaty of Kanagawa was signed with the US. Japan began a new phase of modernization and industrialization after many years of halted advancement. Soon after, their army became well-known and feared after the defeat / invasions of China, Russia, Korea, etc. The most well-known attack to us was Pearl Harbor in 1941, which caused the US to become involved in WWII. Their defeat in the war caused major backlash for the country, but soon recovered and made peace with many countries. The next few decades consisted of growth and development followed by a devastating natural disaster, including earthquakes and tsunamis. Despite the damage done to the economy, they are currently working to improve Japan's energy infrastructure and social ranking. Japanese Culture is surprisingly structured and organized, far more than the United States. There are ways you are expected to act and formalities required to be met around specific people. Aspects such as respect for elders, honor, and social status are held in a much higher fashion than many countries (the informal, private aspect of the culture is referred to as Ura. 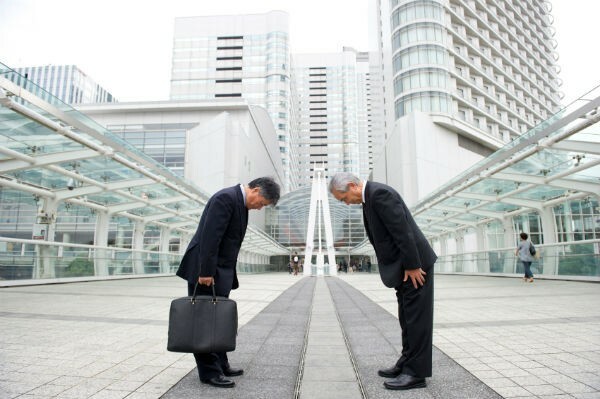 The formal, public behavior is called Omote). There is a social ranking system in Japan Some refer to it as tiers, others simply call it rankings. It is all based upon one’s age and occupation. The older you are, the more respect and better treatment you receive. This determines everything from who you are above to when you receive your tea at a table. Similar to many other hierarchical systems, some jobs have more honor or receive more benefits than others. 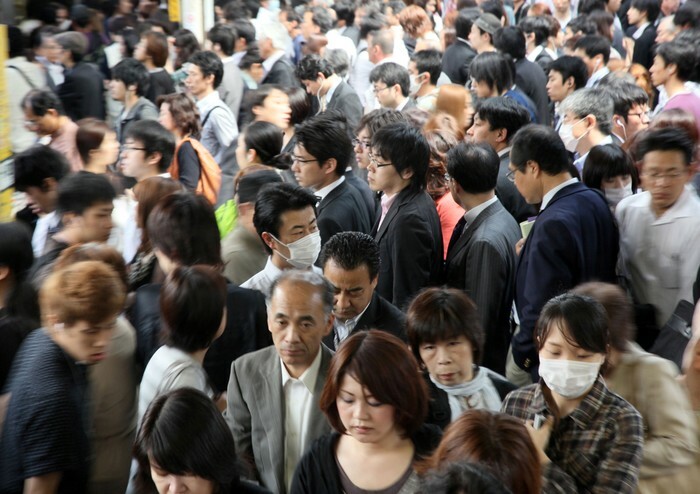 Japan's high population density could lead to overpopulation and pollution. Japan appears to be handling it quite well, but the potential will always remain. Also, the fast urbanization will cram citizens into small areas. The extremely large amount of Japanese confirms the countries solitude from other countries, especially the west. Virtually, the only other citizens are Koreans and Chinese, which are near by countries. The number of Japanese also suggests a huge sense of pride in the country, that we don't need racial diversity and other people entering our country. Once again, this confirms that Japan sticks to themselves. The only language listed on the CIA Factbook was Japanese. The only other languages are practiced seldom to none. 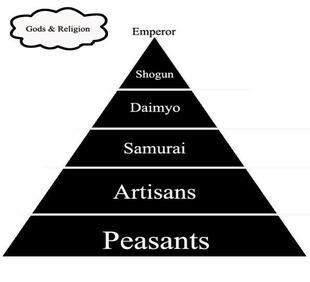 These dominant religions are obviously an invaluable input to Japanese culture. 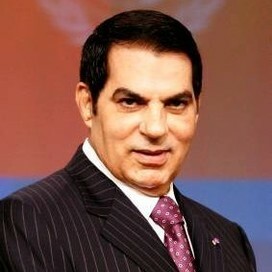 They have aided Japan in grasping the aspects of peace and respect. Buddhism has always been prominent in Japan for decades and has molded society throughout the years. Also, it gives off the effect of structure and order. If a large amount of people speak the same language, have the same religion, are the same ethnic group, etc., it gives off the idea that the citizens are similar in plenty of ways. A high literacy rate always implies a good education system and that close to all citizens are receiving a form of education. It also shows the high level of development of the country. Japan's birthrate appears to be stable, not low enough to be concerning, nor high enough to create overpopulation. 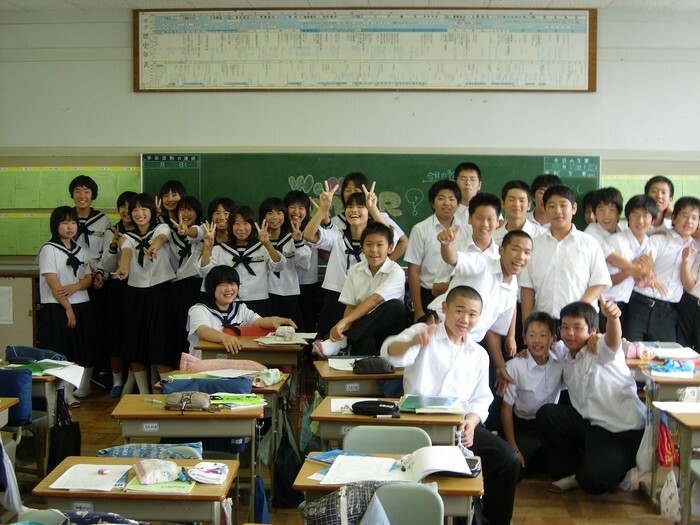 Unlike China, Japan does not have a one-child law, but Japan still has an average family size of 2-3 children. This rate is surprisingly low, significantly lower than the United States. Once again, this bolsters Japan's healthcare system. The Infant Mortality Rate might be the most stunning statistic of all. 2 deaths is incredibly low, confirming the amazing healthcare of Japan. 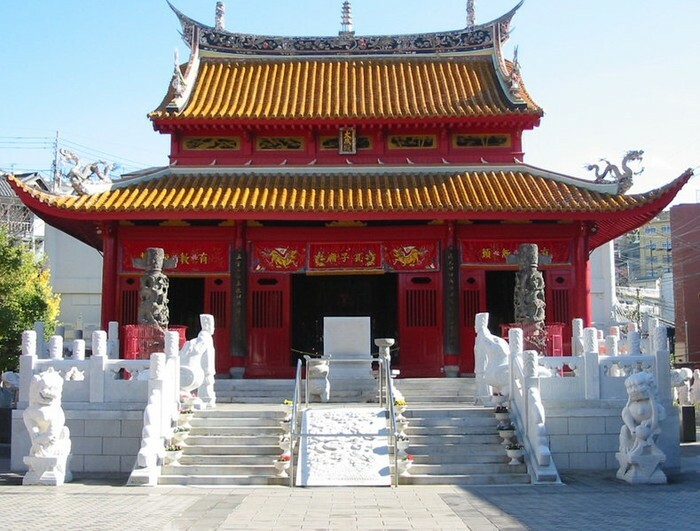 This is a common example of a contemporary Buddhist temple. 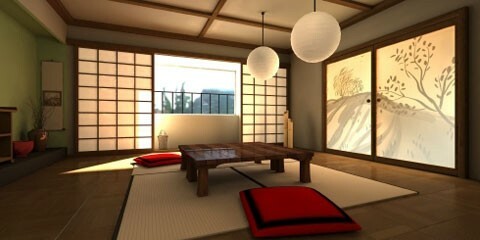 Temples provide statues, zen gardens full of beautiful plants, and interiors full of candles, paintings, and columns. All of this is intended to provide peaceful meditation. Here is a few Japanese kanji letters on the flag. The language has two types of characters: Kanji and Kana. Kanji is adopted from China and is commonly used on seals, coins, or decorative items. Kana is more used in writing and has many different forms, similar to how we have cursive and capital letters. 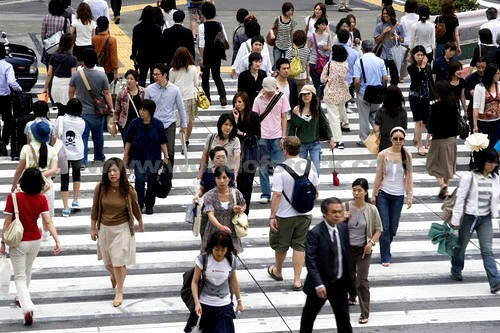 You can see a crowded street full of Japanese citizens, portraying the common ethnicity of the country. 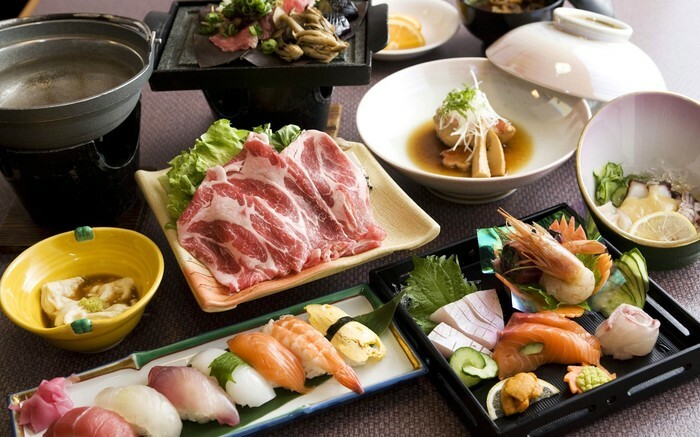 This is a very common meal in Japan, with focus on sushi, seafood, and various meats. 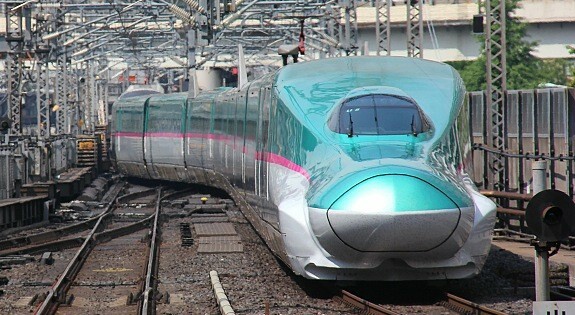 Japan is known for an efficient public transportation system, especially near popular cities. High speed trains are prevalent form. Like America, Japan has crammed apartment complexes in the center of cities. However, the detached houses are the traditional option. The homes are built with a large use of wooden boards, windows, and traditional decor. Japan: Gov't, Econ, Arts & Ent.